A track in the shape of a figure 8 with a cross-over in the middle, not a bridge. 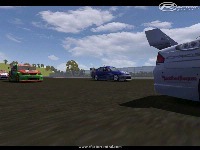 Made for the V8 supercar series, but should be fine with any production car series. Nascars too I think. 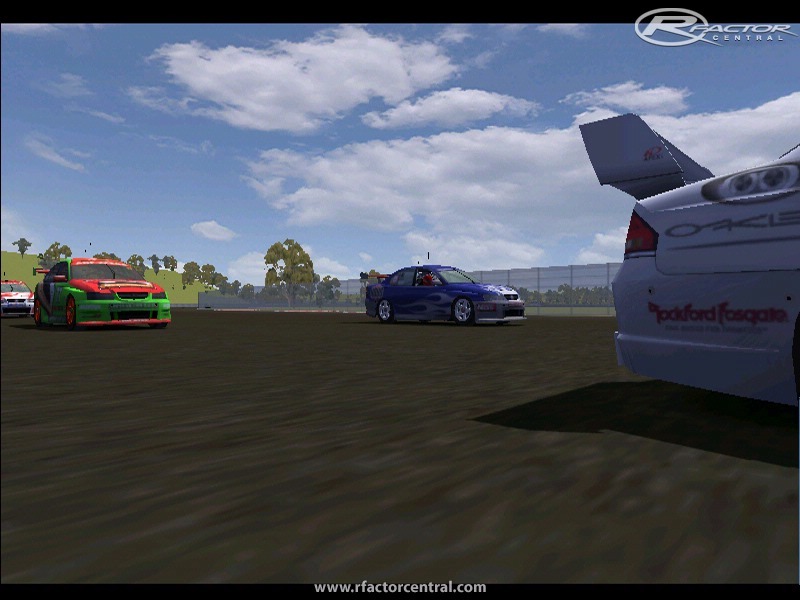 Ive been told that it would make a good Drift track, but I dont race using the drift mods, so Im not sure. 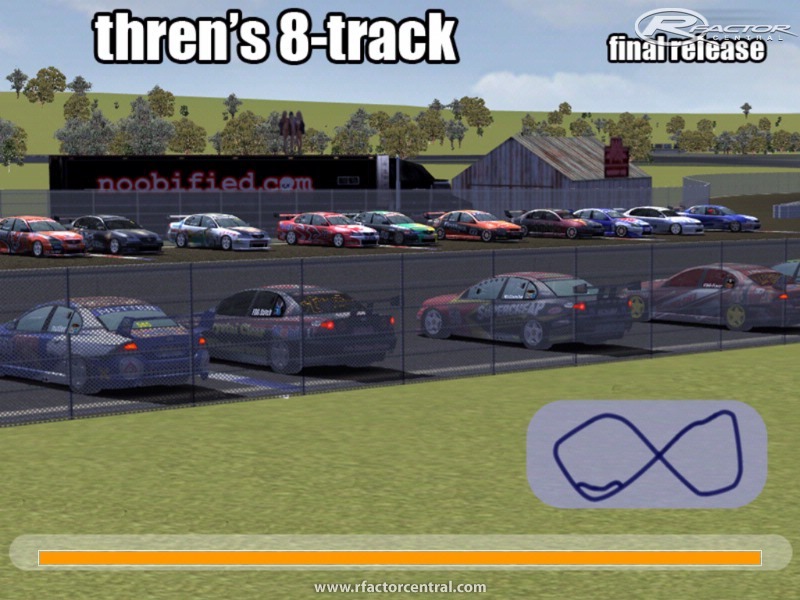 This track is normally running on one of -=[FDG]=-'s rfactor server. 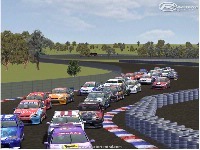 Info on the server can be found at fdgamers.net.au. 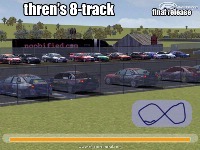 There are currently no setups for Threns 8track. Add a Setup. 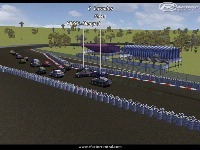 Sux, 'cause the track is too long so the cars will never hit each other int the middle. MrRandom, please try link again. Hey. Im quite interested in downloading this track, however the current link here doesn't work. Is there anywhere arose where we can download it? Very fun track, drives more like a road course in places. 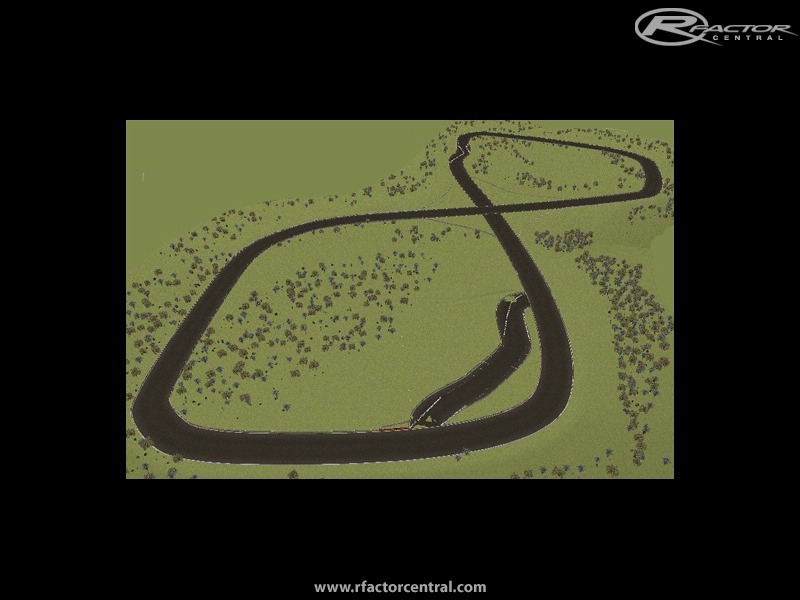 But there's two problems: the AI simply follows the centerline of the track and has not apparently been worked on to optimize their lines at all, such that I, as a GT2 driver, can outrun LMP2's. 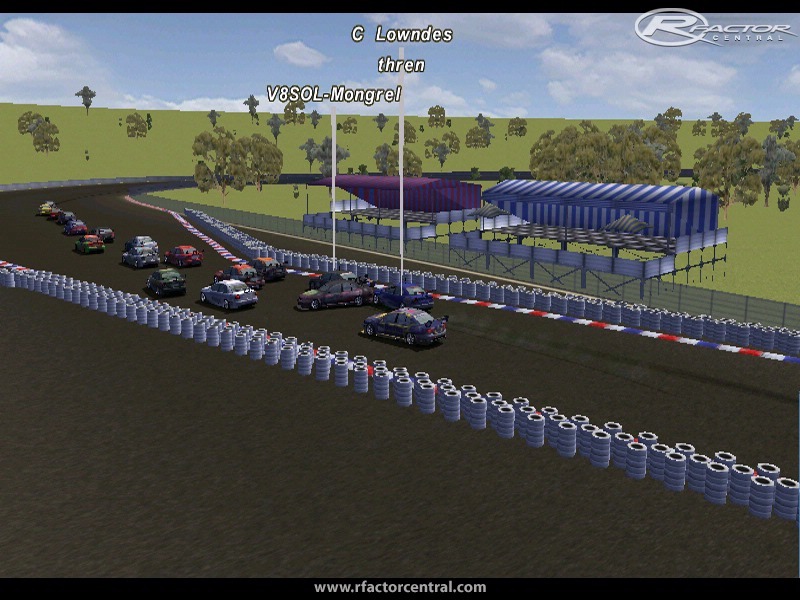 Second, cars often will flip over the wall after collisions on the crossover and be unable to get back on the track (wall should either be higher or there should be a catchfence). Yeah, with full damage they'll most likely be out of the race anyway, but I've had upwards of a dozen AI drivers stuck out there. Both FDG Special Event 1 and 2, absolutely went off!!!!! Thanks to Threns 8 Track. I fraps'd a short Promo for our Special events, have a look here. 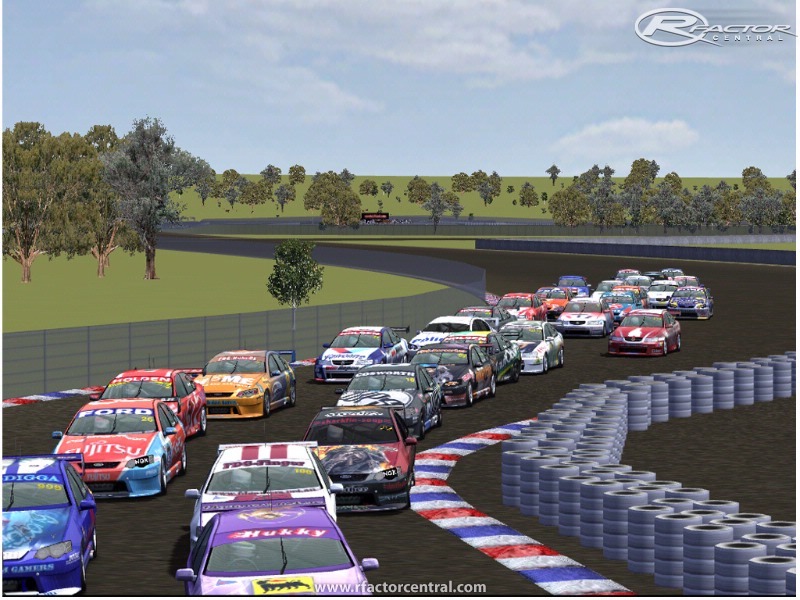 The 3rd SE will be of a dirty nature, and hosted on our new Dirt Server, MWM Arenas and an EWE track called Booma currently running with ORR Trucks and EWE SuperBuggies allowed. This server is Public. New rego's are moderated atm, but normally access is given the next day. Any aussies who are enjoying this track, may be interested in signing up for my teams "fun race night"
Numbers are restricted, but there is still room. 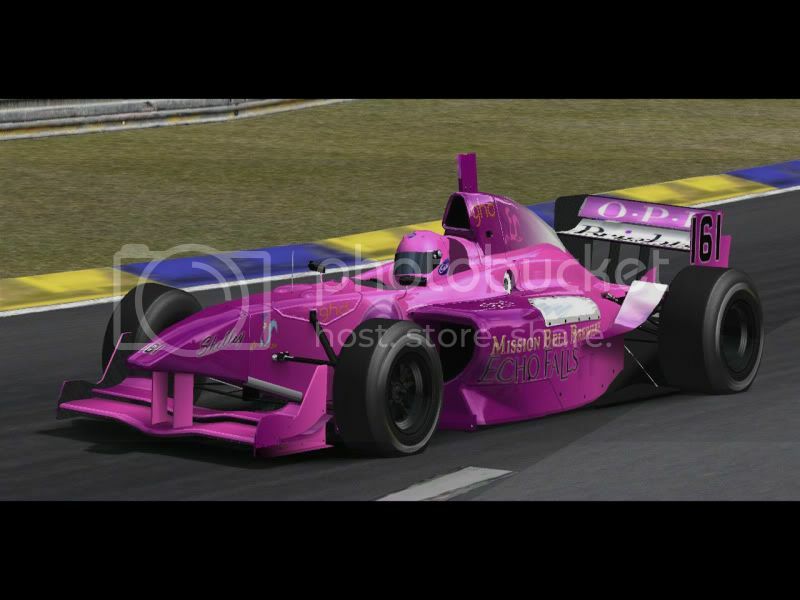 This type of imaginative design is what rFactor is all about....WELL DONE! A ton of fun to drive. Awesome stuff Great work matey. i agree with ADF about the anticipation heading into the 'X' Take a tip from me.. put ya foot down n close yer eyes.. Great track, many thanks for this one,, TOP OF MY FUN LIST! !